What a romantic spot this is…with breath taking views of the sailboats in the harbor, the surrounding cliff, and the spectacular sunsets. The banquet room has large windows on three sides that provide expansive harbor and ocean views. The banquet room is elegantly appointed with prism chandeliers and high-vaulted ceilings. This unique space can accommodate up to 175 guests. Elegant weddings, special occasions or business meetings, the Dana Point Yacht Club, with their preferred catering team and personal attention to detail they will help you create an occasion to remember. 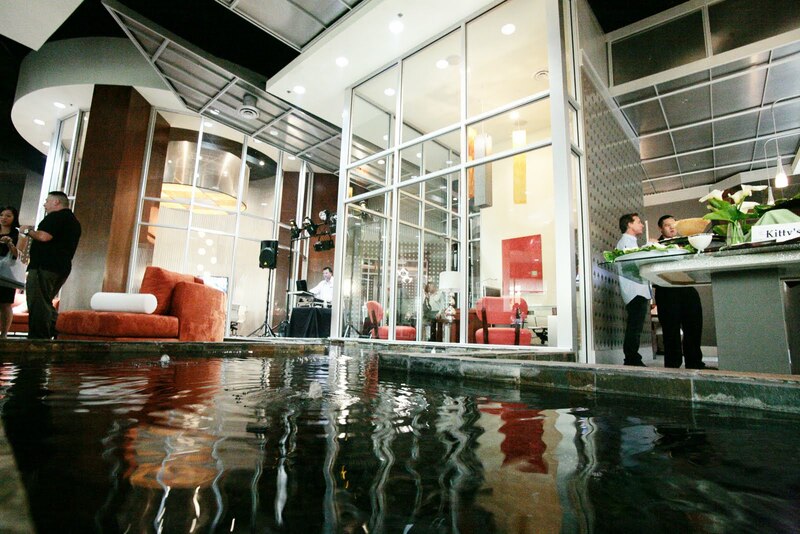 We were fortunate enough to be able to be a part of their Romance on the Water event. Everything about it was top notch from the food and pastries, to the music and dance lessons! 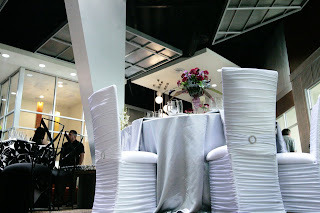 Friday, March 19th, was the launching of the new venue Contempo in Irvine. What a beautiful event center this is in the middle of a business complex. 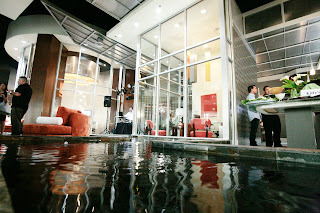 With it's contemporary look and feel this venue is going to be a hit! 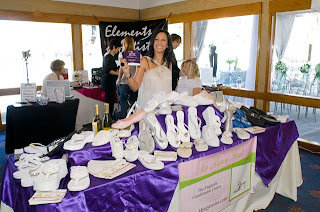 We were invited to display our line of shoes and wine.